Looking To Sell Your Home in Austin? Anchored Sunshine, LLC is buying homes in Austin and the surrounding areas! We have been helping local homeowners sell their unwanted properties for years, and we can help you too! Our process is completely transparent, and you can expect a FAIR offer on your home. We create win-win situations, so we aim to create an offer you will love! Learn more about our process by clicking here! Getting divorced and need to sell fast? We can help! Is your lender threatening you with foreclosure? Don’t let them take your home! Does the home need more repairs then you want to make? We want to buy it anyway! Are you tired of playing landlord to a run-down house or bad tenants? We will buy homes with tenants! Are you tired of paying high property taxes on a house that is vacant or doing nothing for you? Stop throwing away your money! Did you receive an inheritance you don’t want or weren’t expecting? You don’t have to sink money into it to list it. We will buy it from you today! We will make you an offer on absolutely ANY house! Whatever situation you are currently facing, you can be free of it in as little as 7 days! Imagine in one week, being free from a burdensome property, with extra cash in your pocket! More and more people are realizing the benefits of a direct sale. Selling on the MLS is not the best option for every property. 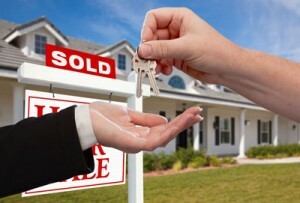 Some properties sell faster, and for more money in the long run when selling to a direct buyer. Don’t do anything until you explore ALL of your options! You might be surprised to learn about all the benefits a direct sale of your Austin home can offer you! A fast close, typically in 7 days or less! However, YOU pick the actual date we close. We work on your terms! You will not have to spend time or money making upgrades or repairs. No cleaning necessary. Pack up what you want to take, and we will handle it from there. You won’t need to shell out for closing costs or commissions. This is a direct sale, and we pick up the closing costs. Listing your Austin home can take months. But by selling fast, you will immediately end your responsibility of paying taxes, utilities and insurance. This can amount to thousands! Ready to learn more? Fill out the form below to get started!